Planning and preparing for a new project can be exciting. Gathering inspiration photos, dreaming up a creative new look, and shopping for the perfect pieces are all fun and exciting for some of us. For others, the fear of mistakes can make the process less fun. I love having the ability to enjoy the process rather than worry about the end result. That’s not to say I have never made a mistake. We all make them. Unfortunately, when decorating a room, mistakes can be expensive. 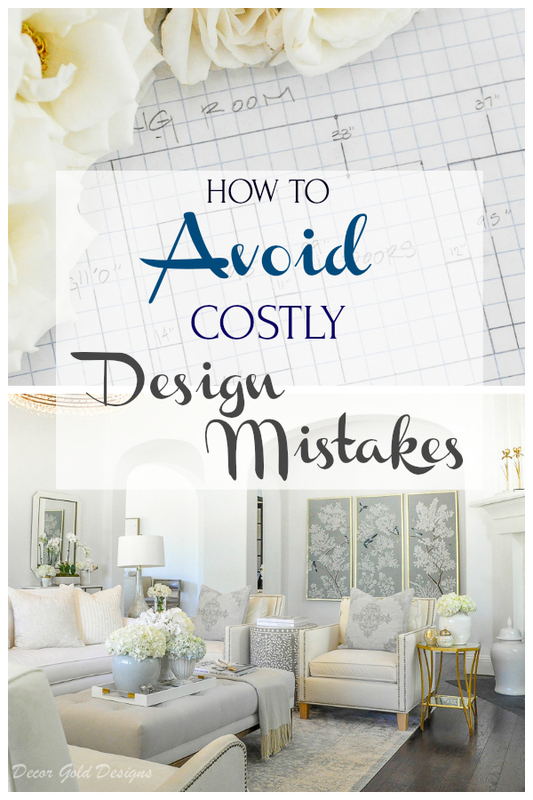 Learning to avoid design mistakes can save you time and money and it can also help you LOVE your home more than ever. Over time, I realized there are a few guidelines I ALWAYS follow when I am designing a space for myself or for others. Today, I am excited to share them with you. They are all simple and important things you can do to help you avoid design mistakes. Measure everything. I can’t stress this enough. 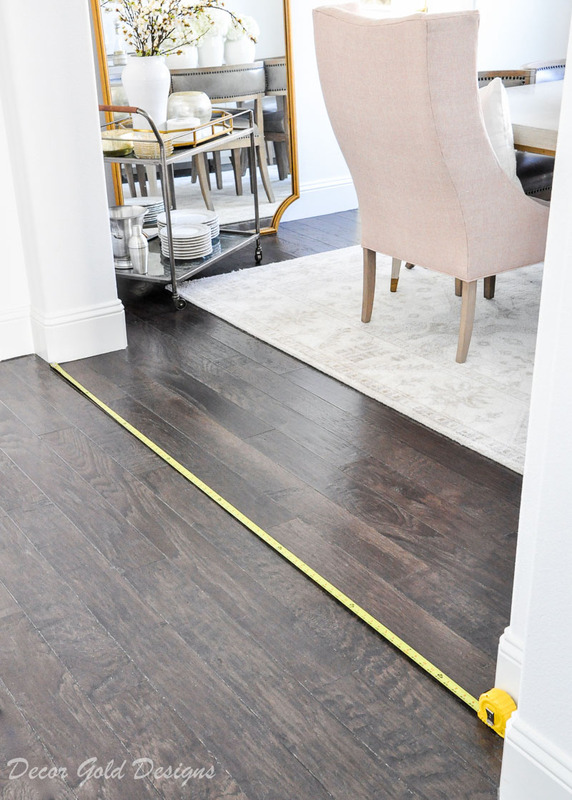 To take interior measurements, I use a 25′ metal tape measure. In addition to the width and depth of each room, make note of where anything permanent is located. Note doors, including the space they take up when they are open. Also note pass throughs, windows, built-ins, fireplaces and anything else that could affect the placement of furnishings and decor. If you have a floor outlet, it is very important to note the location as well. 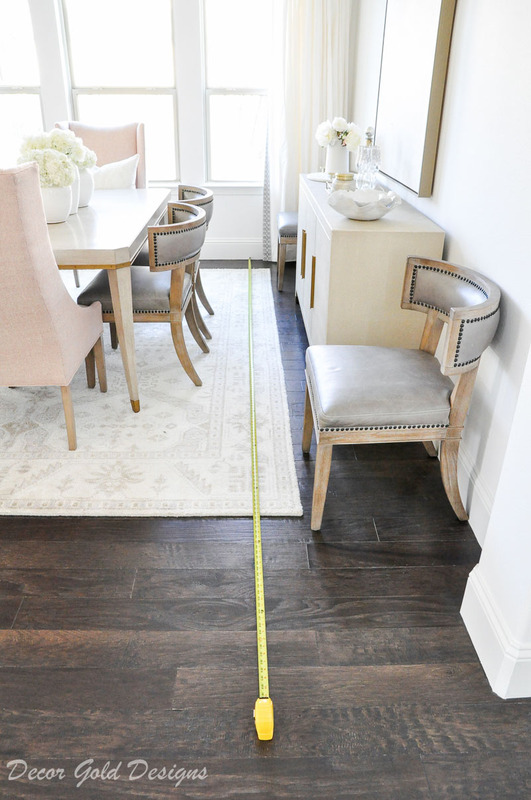 Don’t forget to measure the door and the path that will be used to bring in large furniture. Getting the dimensions of the walls will help you as well. 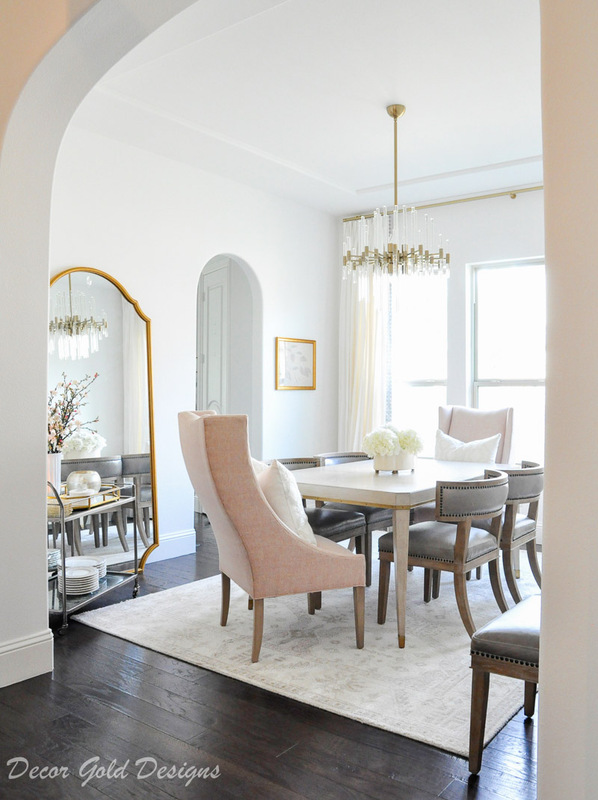 The height of windows from the floor is important to know for furniture placement. 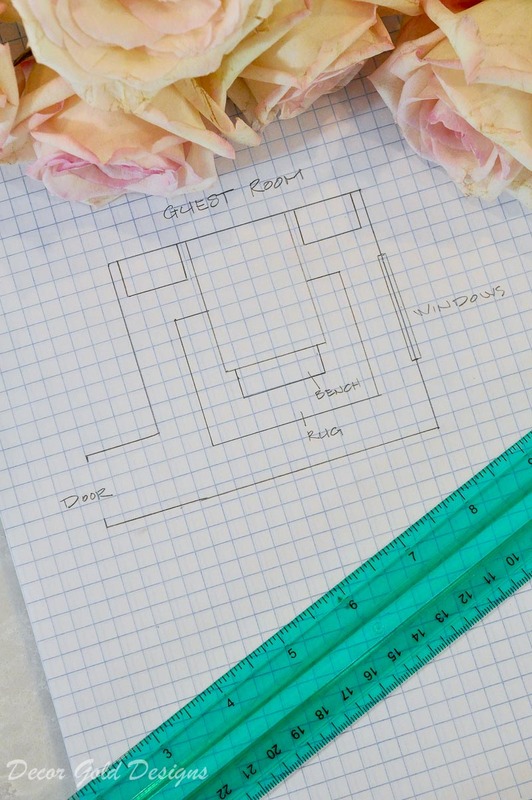 In order to avoid doing this process over and over, it’s nice to save your basic room measurements in one place. As you place items in your home, you may decide to gather the measurements of your furnishings as well. This will help you with the later stages of your design project like accessorizing. 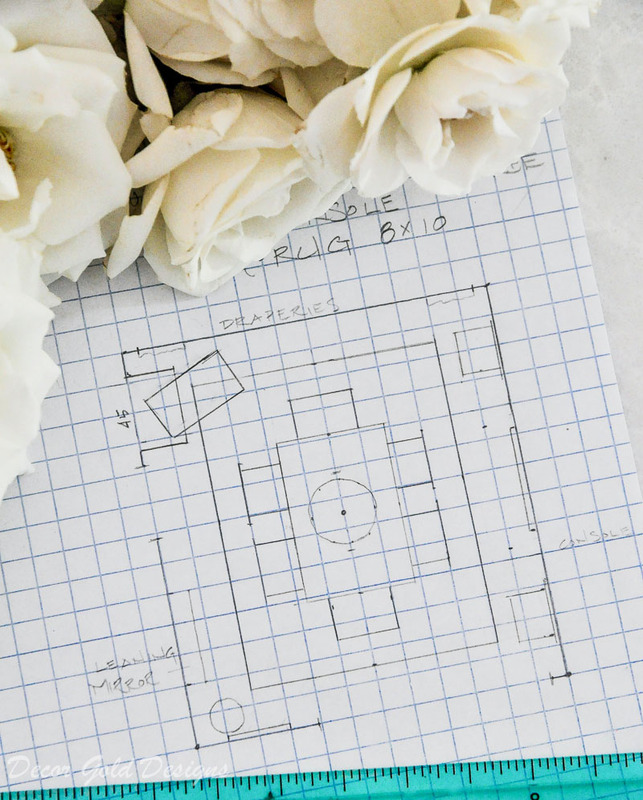 There are online space planning tools and apps that you can use, but you can also draw your space on graph paper. With a space plan, you can layout your rugs and furnishings and see how they will fit in your space. This is the actual drawing I did for my dining room makeover. It helped me decide how new furniture would fit in the room BEFORE I placed the order. Each square equals one square foot which means I didn’t need to write the dimensions down. A plan like this takes only a few minutes and could definitely save you from making a costly mistake. All of the furnishings worked and the pathways were clear as I knew they would be after making this space plan. Here’s a space plan I did for my guest room. It was crucial because the nightstands in combination with the bed I selected could have made the wall too tight. Even before the first piece arrives, having a drawing like this will start to bring your space to life! 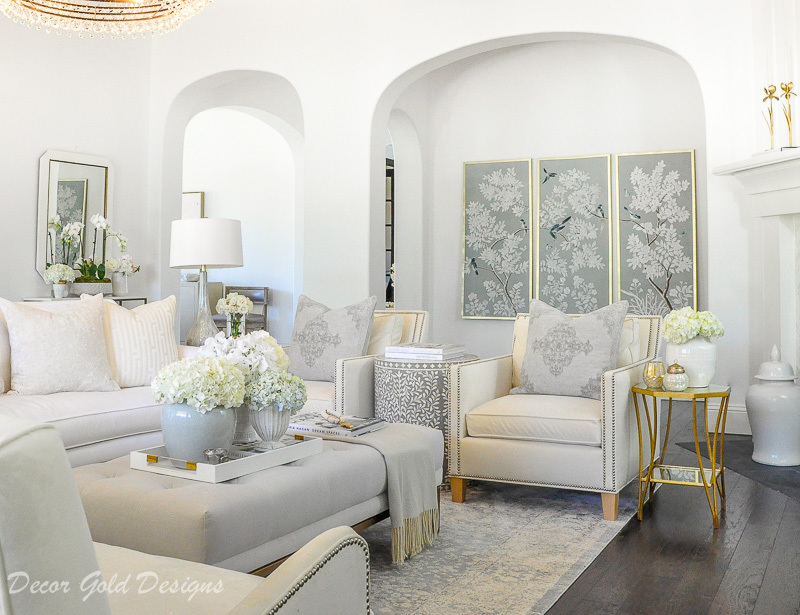 See how this room came together below and tour the full finished space here. You can also map out a wall on graph paper. This drawing recently helped me when I ordered drapery panels. Once the new panels arrived, they were a perfect fit! These are things like hand-me-downs, something you paid a lot for but no longer love, a piece a relative gave to you that doesn’t look good in your home AT ALL, etc. We all have them. I’m not talking about family heirlooms you adore. I am talking about things that make you uncomfortable because you are only keeping them out of guilt. My hope is this: your family member loves you enough to understand if you choose not to keep something that doesn’t bring you joy. As far as the things you invested in but no longer enjoy, try to sell them or give them to someone in need. Spending MORE money, trying to make something like this work almost never pays off. This is the most difficult one for most of us. The urge to have it now and get a finished look can be strong. If you let that urge dictate your decorating and design decisions, chances are you’ll spend even more money in the end. Purchasing an inexpensive item, especially if the quality is low, can often result in the expense of a replacement. From a very young age, I realized I preferred a blank wall over a wall with art that I didn’t love. Everyone is different, but I encourage you to try to arrange your decor in a way that will help you make due until you can purchase items that are just right. If you decorate around the focal point of each room first, you will likely become more comfortable with the unfinished space. We made due with items we already had in both of our guest rooms for two years after we moved into our home. I waited another couple of years to do a living room update, and finally completed the space almost another year after that. The window panels and art for this space were the final touches and well worth the wait. 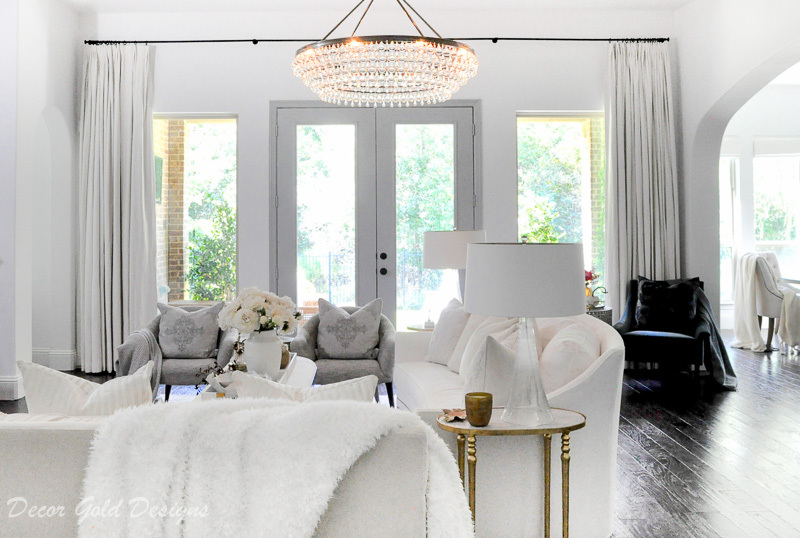 I was lucky to find a new company called Collective & Co. Interiors. They sell this set of chinoiserie panels which I absolutely adore. I’m especially thrilled with how complete the space looks with them. Well worth the wait! 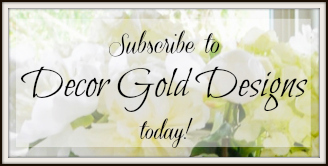 If you’re looking for gorgeous statement art, I highly recommend these timeless beauties! 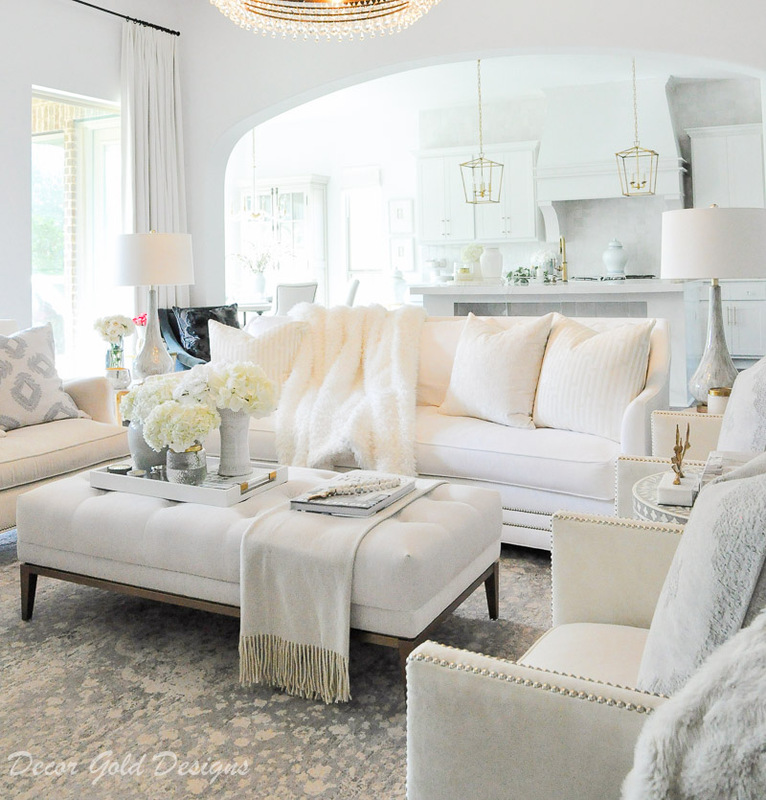 GRAY & WHITE ROUND TABLE – This website picture appears much lighter, but this is the exact table from my living room. Thank you so much for stopping by today! I hope my top tips for avoiding design mistakes will help you with a future project. I try to include additional tips in all of my posts, so I hope you’ll be back for ideas and inspiration! Thanks for sharing these tips with us. 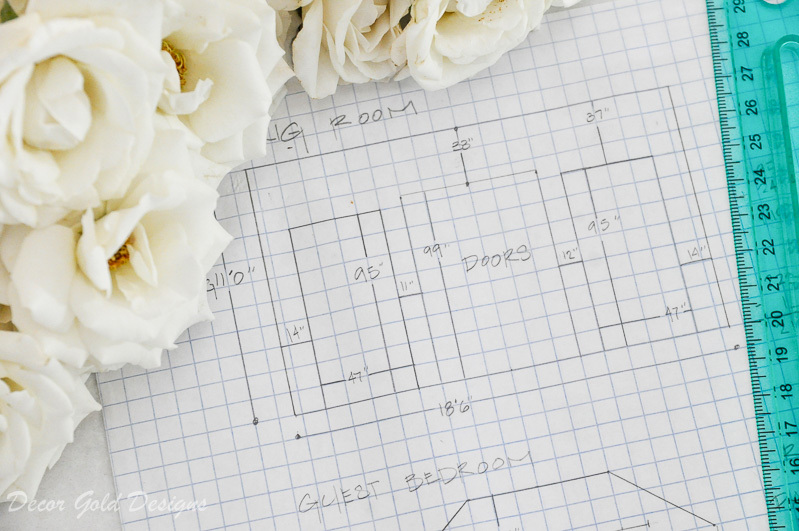 I use graph paper too, I find the room planners don’t give an accurate view of the space. Thank you for including the amount of time it can take to complete a room, I think that is a big misconception. Found all these tips very helpful. 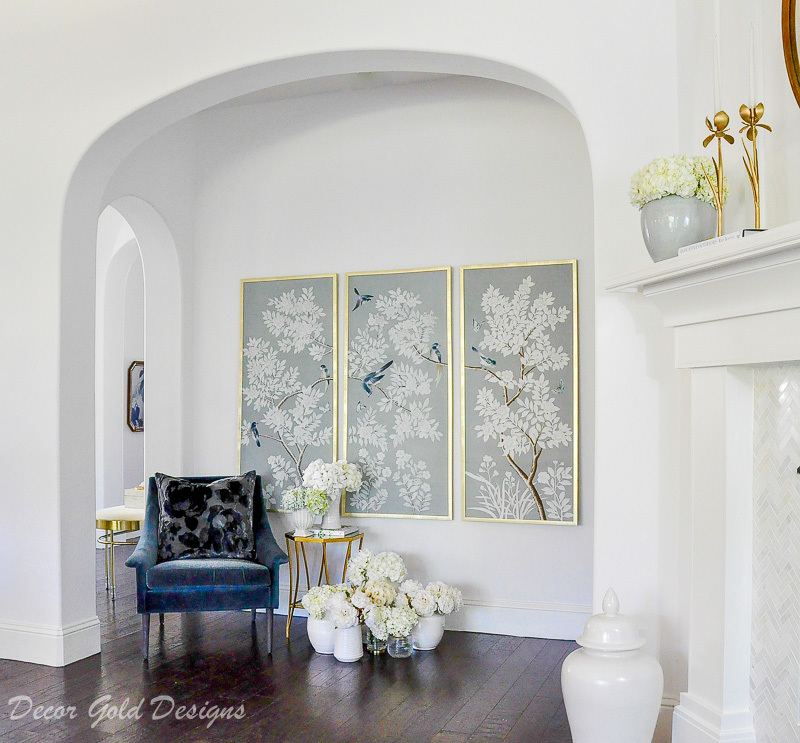 Be still my beating heart – I am absolutely swooning over the chinoiserie panels! Thank you for including the source. You are so right about them ‘making’ the space. Where are the chinoiserie panels from in your living room? Gorgeous!